We are a full service, turn key company specializing in residential carpentry and small business carpentry. We are capable of doing the entire job from start to finish. We are a local company with 20 yrs of experience and references. We can also design or assist with your design as well. Residential and Commercial Construction Expertise. Wetmore Construction provides high quality residential and commercial construction services in DuPage and Kane Counties. We are committed to meeting and exceeding your construction expectations with the highest standard of craftsmanship. With more than four decades of combined experience, we will help you take your next project from concept to move in day. We have been specializing in residential remodel, additions and new homes in Wheaton, Glen Ellyn and the rest of the western suburbs. We also have substantial experience in hospital, medical, office, retail, higher education, industrial and hospitality construction. Our team of professionals is dedicated to understanding and serving your construction needs with the highest level of personal service. Peak Remodeling provides the following commercial & residential services: Painting, carpentry, flooring, designing, building, and general contracting solutions. As a veteran of the home improvement industry with a superior reputation in Chicagoland, Reliable Home Improvement is not just a resource for quality & expediency; we're also innovative & progressive. We are dedicated to building truly custom homes, additions & spaces. Each uniquely tailored to the family it serves. Specializing in functionally designed living spaces to kitchens to master baths. From Lake Forest to Tinley Park, we have references that can attest to our quality construction and custom home development. Our 30 years of professional expertise will show through our work! Our first step together is to find out what your goals and needs are for the home of your dreams. With an approved design and plan, construction begins which will turn your dreams into reality. Take2 Remodeling, established by Paul Miller, offers full service remodeling in Hinsdale, Naperville, Wheaton, Oakbrook, Warrenville and many more of the surrounding areas. 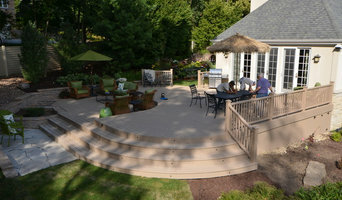 Established in 1997, Hogan Design & Construction has grown a reputation for quality work at a fair price. We've built our reputation on trust and the work we do speaks wonders about our integrity. Chicago West Suburban Custom Home Builder | Best of Houzz 2019! Since 1990, we’ve built some of the most beautiful single family homes in Glen Ellyn, Wheaton and the surrounding Chicago suburbs. We'd like to build your home too! Elite Trim Carpentry & GC is a full service general contracting firm. We specialize in carpentry, cabinetry, kitchen and bathroom remodels, as well as additions. Please contact us regarding your upcoming project- We would be happy to hear from you! We're committed to exceeding your construction expectations with the highest standard of craftsmanship. With more than four decades of combined experience, we will take your project to the next level. At Oak Design & Construction, we transform old spaces into new ones that fit your lifestyle. We work with you to create a customized space for today and tomorrow. Function Basement Design is a basement finishing company serving the Chicago suburban area. We’re always flexible and willing to do what needs to be done to maximize your Function Basement Design. 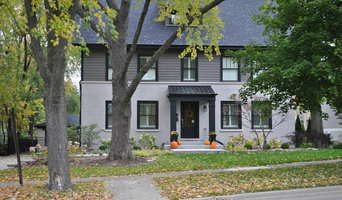 The LM Custom Homes’ team has been building distinct homes in many of Chicago’s highly coveted communities since 1995. We bring an unparalleled level of design expertise, construction & knowledge. Apex Builders, Inc. is a family owned, general contracting firm dedicated to providing unique renovations and custom homes for our valued customers. Take2 Custom Remodeling is a full service home remodeling company located here in the western Chicago suburbs. Our owner, Paul Miller believes in delivering the highest level of customer satisfaction by not only completing the whole job from start to finish, but also by explaining all aspects of the project in detail to make sure all of your question and concerns are being met beforehand. We believe in helping you achieve your dream home with the upmost integrity, trust and transparency. Which is how we are able to maintain many clients for life. Our team’s dedication to quality craftsmanship, installation and service are what truly set us apart. Take2 Remodeling specializes in kitchen and bath remodeling as well as Additions, full basement and attic renovations. We offer designing and installation with the highest quality materials, and custom amenities found in the finest homes. Working directly with you the homeowner, we create rooms that combine form, function, art and life to make your home fit your individual and unique lifestyles. We would love to have the opportunity to bring your home remodeling dreams to life! Give us a call today! Our motto is "Energy Efficiency Through Building Science"-There is true beauty in a warm in the winter and cool in the summer healthy home that performs like no other. If you're on the brink of a large home improvement project, remodel, or new build, you'll likely want to hire a general contractor in Winfield, IL. These professionals manage all aspects of the job to ensure it's completed on schedule and to your satisfaction. Whether you’re trying to find Winfield building contractors for a new construction, or home improvement contractors to spruce up your existing place, it’s important know exactly what role they will play in the project. Read more below for a list of must-ask questions. General, or construction contractors, are often known as project managers. They oversee the entire remodeling or new home construction project and facilitate all day-to-day tasks that move it toward completion. A Winfield general building contractor will work with your architect to review plan as you build a house and ensure everything is in place before work is started as well as arrange for permits and necessary inspections. While good local home improvement contractors in Winfield will have the skills to handle certain tasks onsite, such as carpentry, he or she is also responsible for hiring subcontractors for the majority of jobs, such as electrical work, painting or plumbing. In addition, the general contractor should be on-site regularly to inspect the progress and resolve issues. Here are some related professionals and vendors to complement the work of general contractors: Architects & Building Designers, Interior Designers & Decorators, Landscape Architects & Landscape Designers, Kitchen & Bath Designers, Specialty Contractors. Home remodeling contractors are a must for successful completion of a renovation. Because of this, it's essential that you do your homework before deciding on the right general contractor in Winfield as you remodel or build a house. Inspect bids carefully. Was it ready when the contractor promised it? Was the bid for building a home unusually high or low? Each of these things can be very telling: A late bid may reflect timing standards, and an off-the-mark bid could be code for a pricey premium or a deliberate underbid to score the remodeling job. You should call references, carefully read reviews and visit completed projects in Winfield, IL to see if they’re what you expect for your job. Once you do secure your local Winfield contractors, read the contract very carefully to be sure everyone is on the same page. Find a Winfield contractor on Houzz. 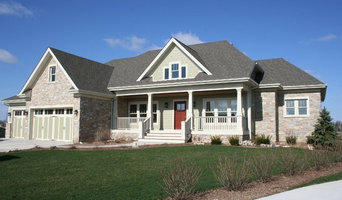 Narrow your search in the Professionals section of the website to Winfield, IL home contractors. You can also search for photos in Winfield, IL and contact the Winfield general contractor who worked on the project.